If you have relocated your spare tire on your Wrangler JK there is the question of what to do with the space it once occupied. You could just leave it be and have it become an eye sore or you can add a DV8 Tramp Stamp to give your Jeep some added style. This product is CNC laser cut from 3/16" Steel for ultimate precision and sits flat against the tailgate for a sleek appearance. 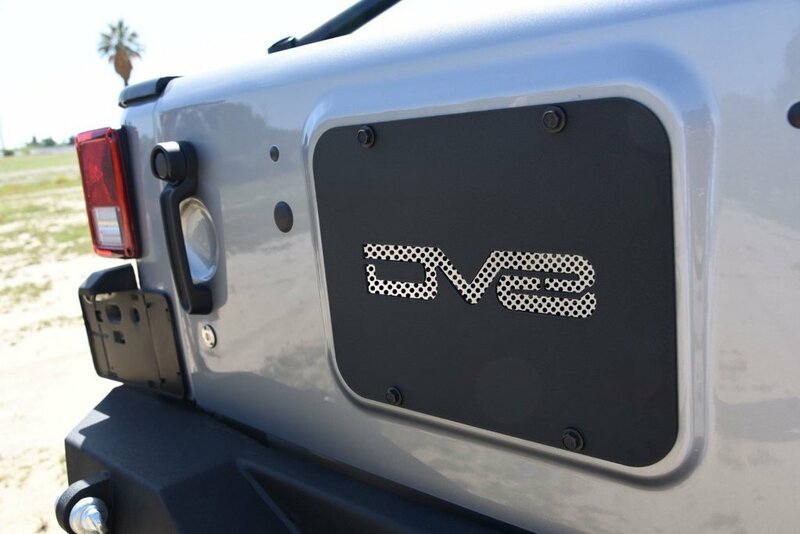 Manufactured: Made from 3/16" steel that is CNC laser cut giving you a perfect fit on your JK's tailgate. A nice textured black powder coat to prevent corrosion and protect from off-road debris. 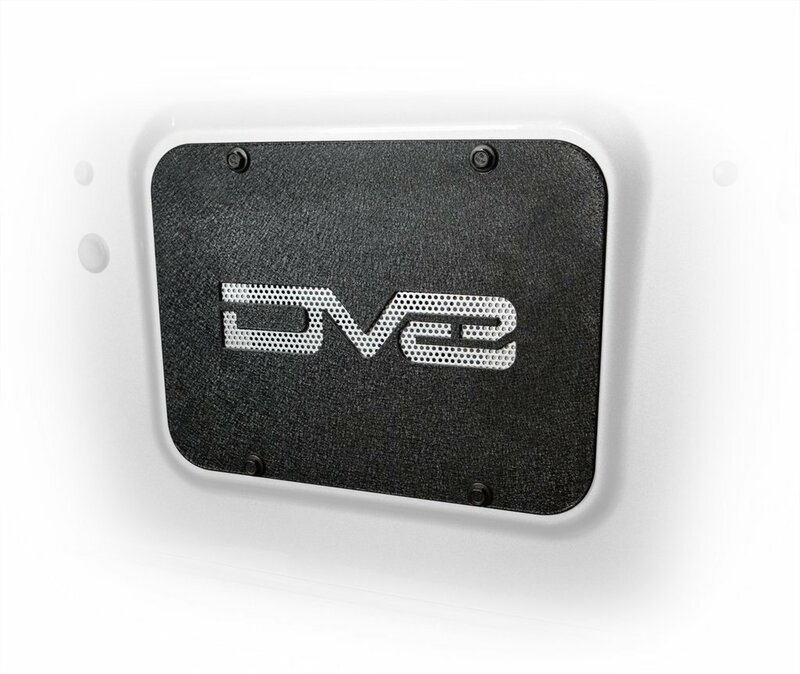 Style: Show your DV8 Offroad support with the DV8 logo laser cut in the center that also acts as a vent. Hides the blank area of where the spare tire carrier would be. Installation: The stock air vent flaps will have to be removed for this to sit flat on the tailgate and reuses the stock tire carrier mounting bolts.